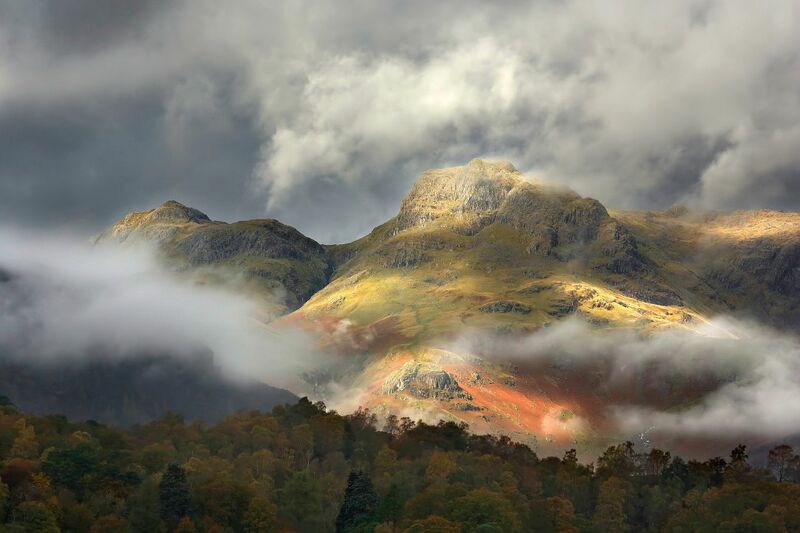 The low cloud and mist has been quite dramatic recently so where better place to go than the Langdale Valley to capture an image of Harrison Stickle and Loft Crag. I think that, out of all the lake district mountains, there is nothing more recognisable than The Langdale Pikes especially Harrison Stickle. I can even see this moutain from the M6 and I know I'm almost home ! !